Start of the tour at Makassar airport. Hereafter depart for the attractive Beach resort Bira via traditional Buginese boatbuilders. The next day we drive to Sengkang and Lake Tempe. From here we travel to the beautiful Toraja highlands. 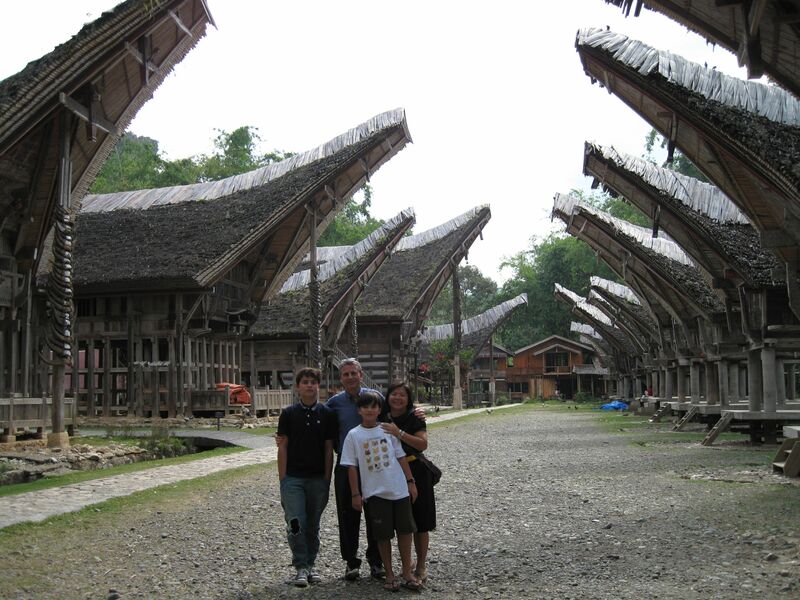 During this tour you can experience the unique culture of Toraja mountain tribe. From Toraja you go back to Makassar. The last day you will make a citytour visiting Fort Rotterdam and then transfer back to the airport. Bira beach resort, Buginese boat builders, Tempe Lake, Toraja Highlands with a unique culture, Makassar Fort Rotterdam. After your arrival at Hasanuddin Airport in Makassar, we will greet you. Hereafter we depart to Bira. Enroute we will visit Tana Beru to see traditional Perahu (boat) construction. The Bugis and Makassarese are the most skillful boat builders and sailors in Indonesia. Overnight in cottages in Tanjung Bira. Today we depart for Sengkang. On the way, we will visit Kajang village where we can see traditional houses of the Ammatoa. We stay overnight in Sengkang. Before breakfast, take a chance to catch beautiful views of the sunrise over Tempe Lake. Hereafter we depart for the Toraja Highlands. On the way, we will visit a traditional silk factory, where women handspun and weave silk clothes. In the afternoon arrive Tana Toraja via Palopo. 3 overnight stays at Hotel Luta Resort or Hotel Misiliana. Today we have a full day exploring Toraja. First, you will visit Lemo to see rows of Tau Tau statues and the hanging graves. Onwards to Suaya to discover the secrets of baby trees, and then proceed to Londa to see ancient tombs in which the deceased was not buried, but placed among the rocks. At KeteKesu one of the oldest Torajan villages we can see Tongkonan (the traditional ancestral house, or Rumah adat of the Torajan people), and also the old traditional rice barns with colorful woodcarving. Toraja (Batu Tumonga, walk along rice fields, weaving center). In the morning we start for another day trip to Batutumonga, where you can enjoy superb views of Rantepao and the surrounding valleys. You can make a nice walk along the rice fields and see the daily life of Torajan people. In the afternoon you will also visit Pallawa, Sa’dan, known as the weaving center of Rantepao. Makassar – Airport. If there is time you will make in the morning a city tour through Makassar and visit the famous old Fort Rotterdam. Hereafter we will transfer you to Hasanuddin International Airport for the flight to your next destination. 2 – 3 persons is USD $770.00 per person. 4 – 6 persons is USD $625.00 per person. 7 – 10 persons is USD $590.00 per person. If you have any questions about our Sulawesi 7 Day Tour Package, please contact us. We return your inquiry quickly.